So, the guests had just left our Airbnb rental and I went in to check the place. I like to do this as soon as the guests have gone for several reasons. One of them, and probably the least sensible, is to check the fridge to see if they’ve left any goodies. And yes, I often find treats that I’m quite happy to take for my own consumption. Often, guests realise that they can’t take that vodka, wine or beer on the plane so they leave it – lovely. Other times I’ve found chocolates, gourmet pizza, wonderful cheeses … you name it. But on this occasion, the guests left something I had never seen before. Ever. In my whole life. Yes, hard-boiled eggs. Bought ones. 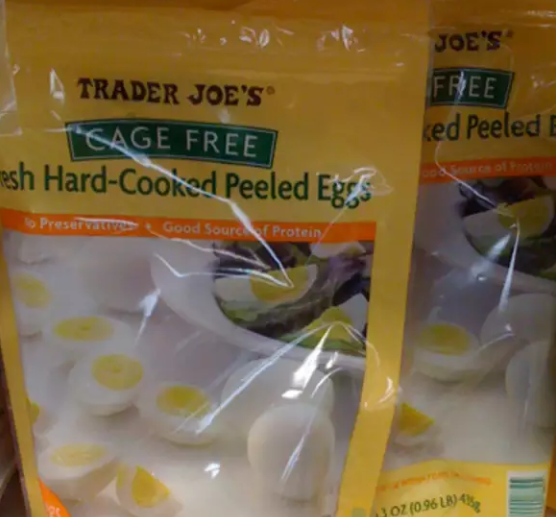 I was amazed to see that in America, shoppers can buy, for money, hard-boiled eggs. Not only has someone gone to the trouble of boiling the eggs, they have also peeled them. I was astounded. I know that people are lazy. I know that I’m old enough to remember that when you wanted to change the channel on your TV, you’d get up out of your chair and change it using a knob on the TV set itself. (Today, it seems, some people are in danger of losing the use of their legs, thanks to remotes). I know that people try very hard to park as near as possible to the supermarket or the pizza shop or wherever they’re going. I know that there are drive through everythings in the USA (including, as I once saw in Daytona, drive through churches). I know that people buy ready-washed salad. I know that they even buy ready-cubed melon. A little investigation into this strange matter revealed that in the USA, people eat these hard-boiled eggs for breakfast. What they do not do, strangely, which is what people in England do, is eat proper boiled eggs for breakfast. (I think that Americans would probably call them soft-boiled? Makes sense, soft-boiled as opposed to hard-boiled). Now because in the USA proper eggs aren’t really eaten for breakfast (admittedly there might be some people who do) then it turns out that I have a couple of objects in my kitchen that simply don’t exist in American homes. I thought everyone in every civilised country had eggcups but no. Eggs were a bit maligned for several years. For quite a few years it was thought that we had to restrict our egg consumption to one or two a week. They said that it was because of the cholesterol or something. However, medical science being the way it is, they backtracked on this and now we are free to eat eggs again. So it’s important for me to let people know, particularly those in North America, that you need to get yourselves some egg cups (see the Amazon thingy below) and learn to eat proper boiled eggs, with soldiers, for breakfast. You can’t really have the full enjoyment of a boiled egg without soldiers. So remember this if you’re from the UK going to the USA or vice versa. 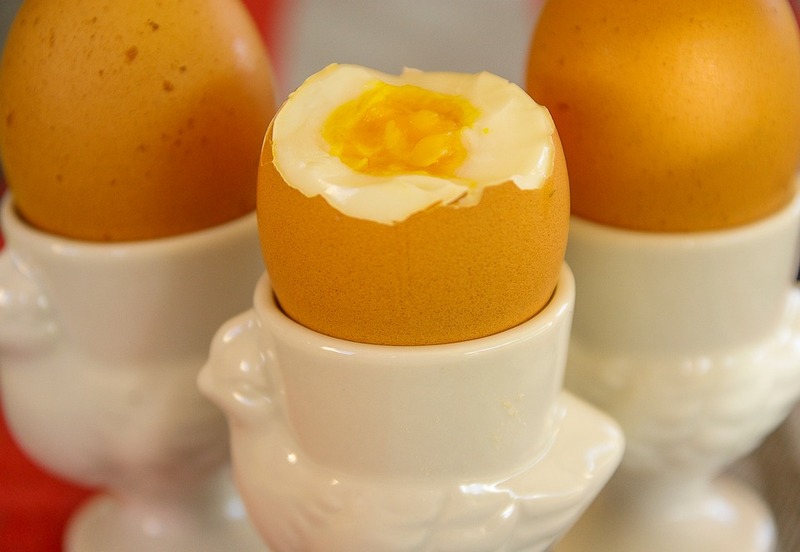 When you talk or think about ‘boiled eggs’ the person from the UK is going to imagine a four-minute egg (roughly, we all have our particular preferences) with a lovely runny yolk into which we can dip our soldiers. The person from the USA though, when confronted with the term, will imagine a peeled hard-boiled egg. There is really no way to improve on a boiled egg with soldiers. It’s like beans on toast – it’s something you just don’t **** with. 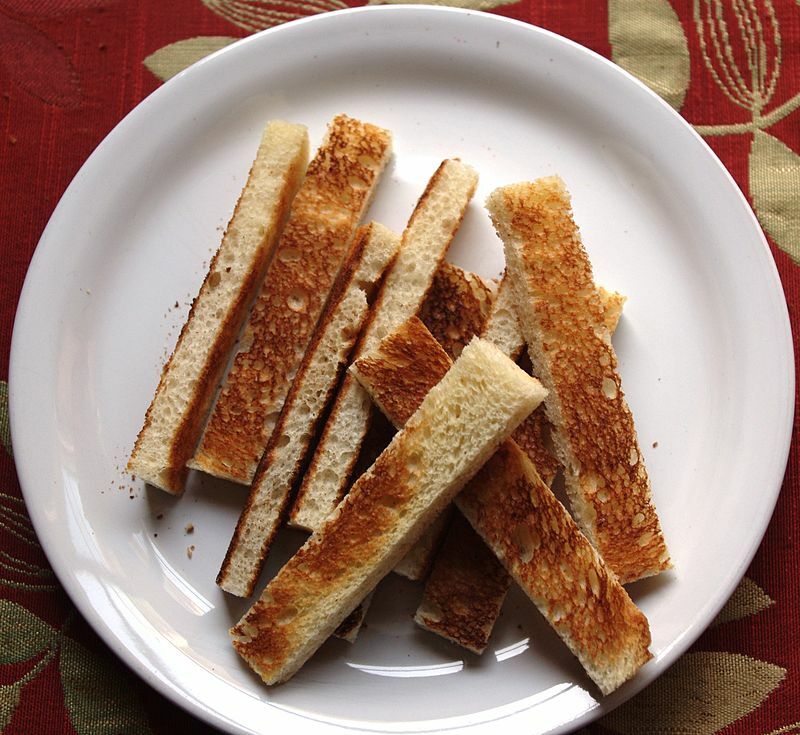 At least, that’s what I thought until I saw the Gordon Ramsay way of serving boiled eggs with anchovy soldiers. Note: You’ll have noticed that in the video Gordon recommends boiling the eggs for four and a half minutes. I disagree and it’s not often that I’m inclined to agree with a world-famous chef. The perfect boiled egg is ready in four minutes, never mind that extra thirty seconds. It’s okay, I don’t like runny whites at all but I assure you that four minutes is just right to get the yolk cooked to perfect soldier-dip-ness. Trending Now : Hosts: Are You Playing The Game?